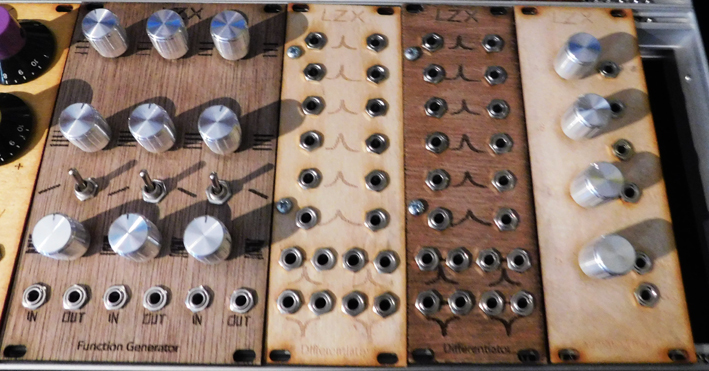 New LZX DIY videosynth modules I made, from schematics on the LZX website. 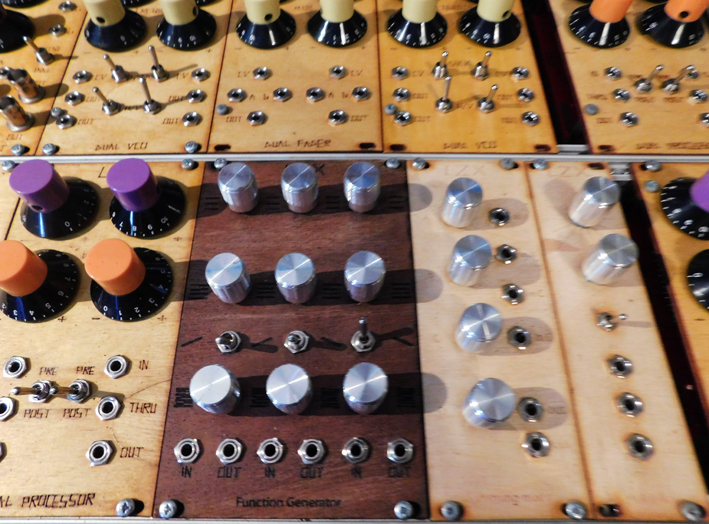 6x Sandin/LZX Function Generator, 4x Sandin/LZX Differentiator, 3x LZX Cadet X Multiplies (vca) and 3x Summing mixers and some Scalers. I also converted my whole video modular to jack connectors instead of banana’s, because of the blurry edges and interference problems I had. Now the image is much better!